An imref2d object encapsulates the relationship between the intrinsic coordinates anchored to the rows and columns of a 2-D image and the spatial location of the same row and column locations in a world coordinate system. The image is sampled regularly in the planar world-x and world-y coordinate system such that intrinsic-x values align with world-x values, and intrinsic-y values align with world-y values. The resolution in each dimension can be different. R = imref2d creates an imref2d object with default property settings. 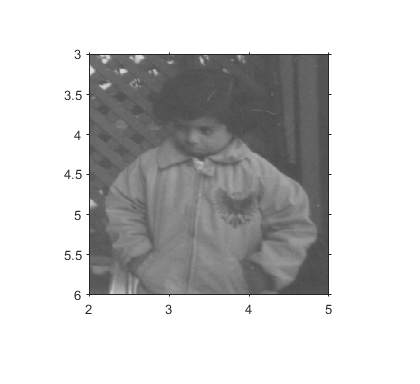 R = imref2d(imageSize) sets the optional ImageSize property. R = imref2d(imageSize,pixelExtentInWorldX,pixelExtentInWorldY) sets the optional ImageSize, PixelExtentInWorldX, and PixelExtentInWorldY properties. R = imref2d(imageSize,xWorldLimits,yWorldLimits) sets the optional ImageSize, XWorldLimits, and YWorldLimits properties. Span of image in the x-dimension in the world coordinate system, specified as a numeric scalar. The imref2d object sets this value as PixelExtentInX * ImageSize(2). Span of image in the y-dimension in the world coordinate system, specified as a numeric scalar. The imref2d object sets this value as PixelExtentInY * ImageSize(1). Number of elements in each spatial dimension, specified as a two-element positive row vector. ImageSize is the same form as that returned by the size function. Size of a single pixel in the x-dimension measured in the world coordinate system, specified as a positive scalar. Size of a single pixel in the y-dimension measured in the world coordinate system, specified as a positive scalar. Limits of image in world x-dimension, specified as a two-element row numeric vector [xMin xMax]. Limits of image in world y-dimension, specified as a two-element numeric row vector [yMin yMax]. Limits of image in intrinsic units in the x-dimension, specified as a two-element row vector [xMin xMax]. For an m-by-n image (or an m-by-n-by-p image), XIntrinsicLimits equals [0.5, n+0.5]. Limits of image in intrinsic units in the y-dimension, specified as a two-element row vector [yMin yMax]. For an m-by-n image (or an m-by-n-by-p image), YIntrinsicLimits equals [0.5, m+0.5]. Read a 2-D grayscale image into the workspace. Create an imref2d object, specifying the size and world limits of the image associated with the object. Display the image, specifying the spatial referencing object. The axes coordinates reflect the world coordinates. Create an imref2d object, specifying the size and the resolution of the pixels. 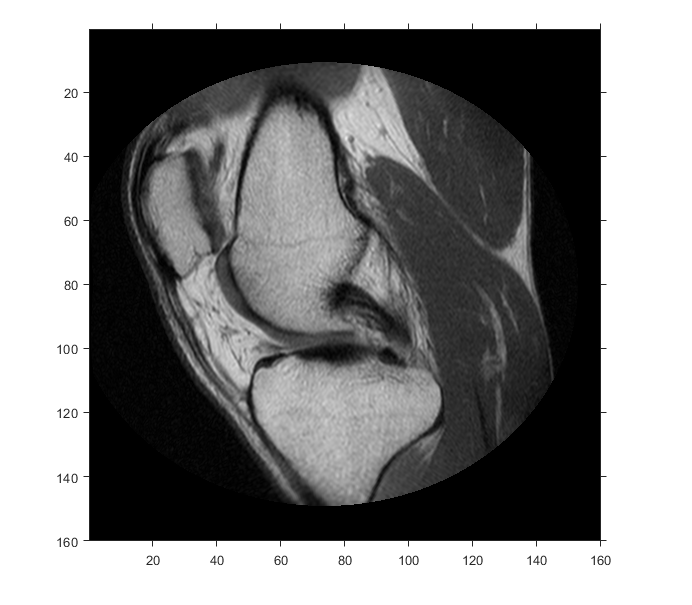 The DICOM file contains a metadata field PixelSpacing that specifies the image resolution in each dimension in millimeters per pixel. The intrinsic coordinate values (x,y) of the center point of any pixel are identical to the values of the column and row subscripts for that pixel. For example, the center point of the pixel in row 5, column 3 has intrinsic coordinates x = 3.0, y = 5.0. The order of coordinate specification (3.0,5.0) is reversed in intrinsic coordinates relative to pixel subscripts (5,3). Intrinsic coordinates are defined on a continuous plane, while the subscript locations are discrete locations with integer values. You can create an imref2d object for an RGB image. 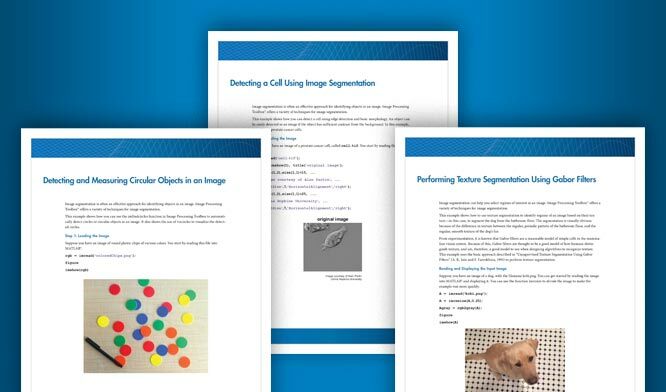 If you create the object specifying the ImageSize property as a three-element vector (such as that returned by the size function), only the first two elements are used to set ImageSize. imref2d supports the generation of C code (requires MATLAB® Coder™). For more information, see Code Generation for Image Processing.